YOU'RE READING Is your selfie addiction a sign of mental illness? Need to constantly post images of yourself and make sure that your fans and followers like it? It could be a sign of poor self esteem. 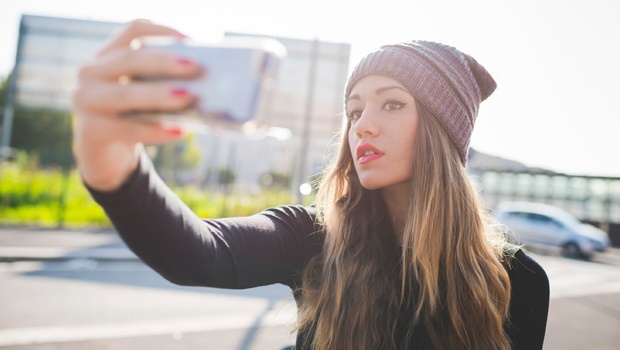 If you are posting more than three selfies a day on social media on an ongoing basis, you may have a serious problem, say experts. The American Psychiatric Association speaks of “the obsessive compulsive desire to take photos of one’s self and post them on social media as a way to make up for the lack of self-esteem and to fill a gap in intimacy”, and has categorised it into three levels: borderline (three selfies a day), acute (posting at least three selfies a day), and chronic (posting up to six or more selfies a day). I was at a Tequila promotion one evening last week. (I don’t drink Tequila, but that’s a whole other story). At a table on the other side of the lounge was a group of five or six well-dressed young women. They achieved the remarkable feat of spending an hour and a half not talking to one another at all, but taking hundreds of selfies and group selfies. In ‘pout mode’, in ‘happy mode’, in ‘drink-in-the-hand mode’ in ‘come-hither mode’, in ‘model mode’, in ‘snack-eating mode’ - and so the list goes on and on and on. After half an hour, they had caught the amused attention of many of the people in the room, who were looking at this spectacle in somewhat horrified fascination. It was a bit like watching someone do mind-altering drugs or binge eat or gamble obsessively. You don’t want to look, but you can’t stop. Well, they wanted to be the centre of attention, but not in the real world around them. They missed out on spotting the hunky guys at the next table, in lieu of getting their images posted as quickly as possible on social media, and presumably spending hours looking at the images afterwards. Nothing quite says, ”I am a self-obsessed socially inadequate Narcissist” like the possession of a selfie stick. It tells the world you often take photos of yourself when there is no one else around to hold the camera. In my book this is a bit creepy. It’s actually a warning, such as when you go home with someone you meet at a party and they have a video camera set up in the bedroom. It’s nature’s way of telling you to run. Look, there’s nothing wrong with taking a photo of yourself and your friends when you are out somewhere and even posting it on social media. But if you experience the entire outing through the lens of your cellphone camera and you never actually enjoyed the view, the company, the food – you might as well have been at home watching TV or just watching yourself in the mirror. The selfie craze has enabled people to become both the actors and the audience in their own lives – and the message supposedly being sent out by these scores of pictures is “Look at me! I am having a great time! I am with friends in a cool place! Don’t I look fabulous?!" READ MORE: How addicted to social media are you? Recently a UK psychiatrist, Dr David Veal, as well as the American Psychiatric Association have said that the constant taking and posting of selfies can be linked to mental disorders in which the sufferers have an obsession about physical appearance, such as Body Dysmorphic Disorder (in which sufferers have a distorted body image). A big part of the selfie craze is also getting others to look at your pics, and to comment. Narcissists are always desperate for recognition and praise and acknowledgement - and other people are seen as a source of providing this. And that’s where their usefulness ends. Narcissists are not kind and altruistic people. The rise of digital Narcissism and excessive self-promotion also tie in with the phenomenon of the ‘empty self’, described in the last few decades by psychologists: at the centre of someone’s being there is nothing that really connects with others, or has any cohesive sense of place within society: the hole is filled with consumerism, food, celebrities and self-obsession. But there is no real sense of self that exists independently of these things. I think our society has lost its way: self-interest and the win-at-any cost attitude prevail over the interests of society at large. Our social connections have become disrupted and the virtual world has for many people become preferable to the real one. Advanced methods of communication have put a stop to real connections between people: the more advanced our communication gadgets have become, the less we have to say to each other. 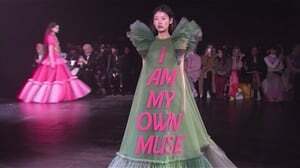 Digital Narcissism in fact fulfills all the criteria of functioning as an addiction: “a persistent, compulsive dependence on a behaviour or substance” (Medical Dictionary). It also speaks of a process addiction, which would include activities such as shopping or gambling. If you want to see whether someone is addicted to their phone, check the reaction if you try and take it away for even half an hour. It has to them become like a heart-lung machine, from which they cannot bear to be parted and continue to live in any meaningful way. And interference with normal activities is also a consequence of addiction. In 2013 more than 100 people in the UK sought help for Twitter and Facebook addiction. It’s real, as is selfie addiction. And it’s a growing phenomenon – a danger lurking within us and our society which has become socially acceptable. Next time you go out with friends, make a pile of all your phones in the middle of the table. The first one to touch his/her phone, pays the whole bill.